home Gossip Marijuana vs Cigarettes, which is more dangerous . 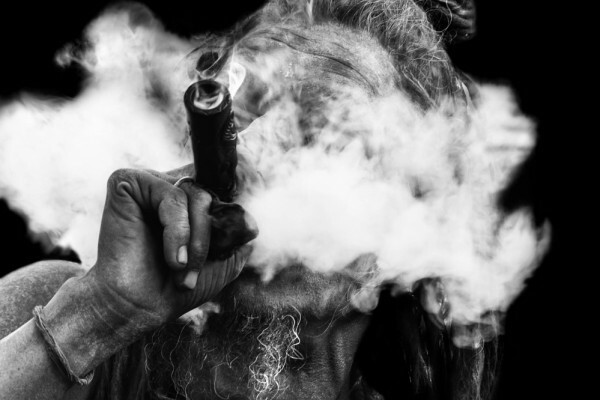 Most of us have probably heard “One joint is equal to ten cigarettes” By: Amit Jung K.C. Source: http://arts.bluzog.com/2013/07/24/baba-smoking-marijuana/ And what we think is??………maybe. Well, it’s very normal to think like that since cigarettes are legal all around the world and marijuana, I guess it’s illegal in maximum countries except few. So, it’s a basic psychology to think like that. But, what if I say, NO, marijuana ain’t as dangerous as cigarettes instead cigarettes are more dangerous than marijuana, would you believe me?????? Also See : WHY MARIJUANA IS ILLEGAL. Hmm mm probably, you are thinking this guy has gone crazy but hold on. There are many reasons why marijuana ain’t that dangerous as cigarettes. So here are the list of interesting facts about marijuana and cigarettes smoking. Addiction: marijuana is not addictive as cigarettes. There’s no addiction for marijuana. Bronchodilator function: Marijuana contains a chemical compound known as THC, which is a broncho dilater. It means that it opens up the small bronchi’s of the lungs and helps pass out the sputum and other dust particles but cigarettes they contain nicotine which has opposite action . Cancer, it has become a leading cause of death around the world. Well, we all know that cigarettes are the major cause of lung cancer but till now, it never has been documented that marijuana causes lung cancer. So, simply marijuana doesn’t causes lung cancer. And the best thing about marijuana is that it relaxes your mind and body. Recently, some researches has shown the marijuana promotes creativity. Hold on, we‘re not done yet. There’s still one big question mark???? Why then the cigarettes are legal and marijuana not, if they are so dangerous? So, it’s up to you how you think. And finally, say no to drugs and stay healthy and safe .